FlashPants, known as the #1 Temecula 80s band (and all of California too) was honored to be the sole entertainment for the Marine Light Attack Helicopter Training Squadron 303’s celebration of the 241st Birthday of the United States Marine Corps. The event took place inside the Grand Ballroom at Pechanga Resort & Casino. 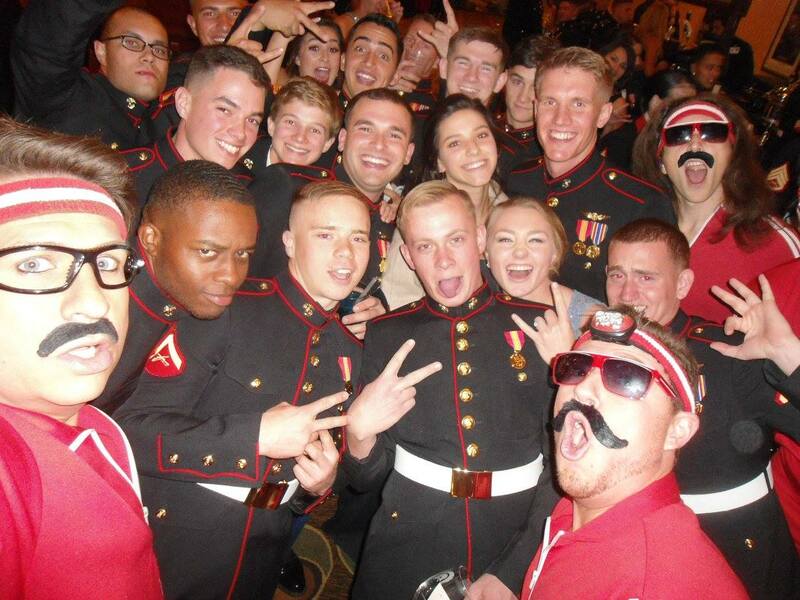 The birthday of the Marine Corps is celebrated officially and socially by all Marines throughout the world. Whenever one or more Marines are stationed abroad ship, at posts of other servies, or in the field, November 10th is habitually celebrated. Although the Marine Corps joins the other services each may in observing Armed Forces Day, November 10th remains the Marines’ own day- a day of ceremony, comradeship, and of course, celebration. A 2-Star General was even in attendance as the guest of honer, to give a special message. 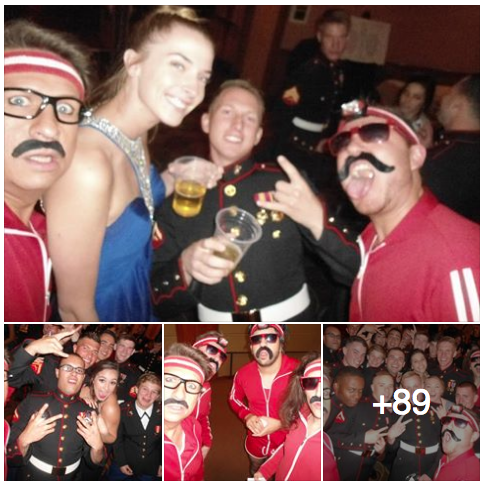 Not only were the Marines dressed to impress, but so were their guests; men in suits and women in amazing ball gowns. This event really lived up to its name. 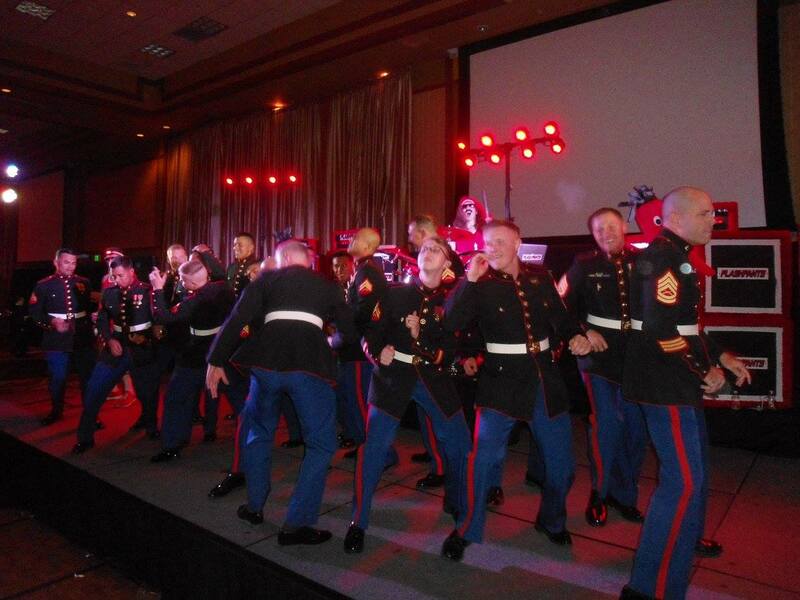 The Marines were in jovial, great spirits and wanted entertainment that was a little more high-energy than that of previous Balls. So we did what we do best and we think they liked it =) They were looking for a Temecula 80s Band and they found one! 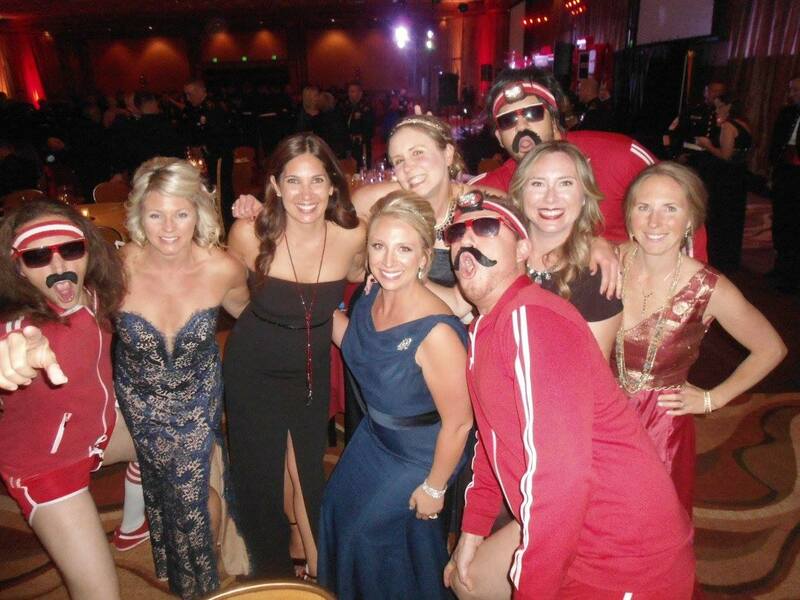 After the formalities and dinner concluded, it was time for FlashPants to show our appreciation. We hit the stage running (as per usual) and people started dancing immediately. The dance floor grew throughout the night and we even received comments from the wives who said things like “The guys usually don’t dance. We are so happy they are dancing tonight!”. Here are the photos we took at the event.